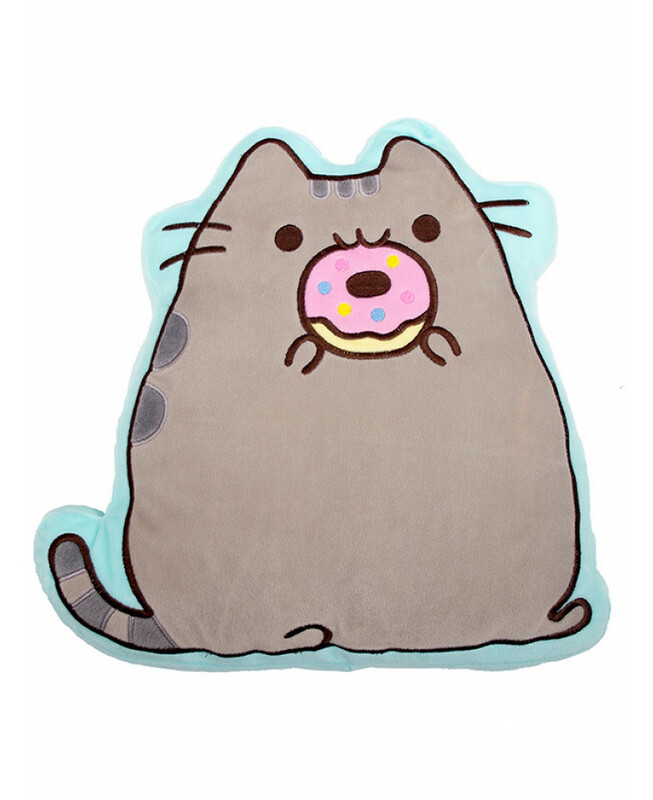 This Pusheen Shaped Cushion is a great accompaniment to your Pusheen duvet cover or as a finishing touch to your Pusheen themed bedroom. 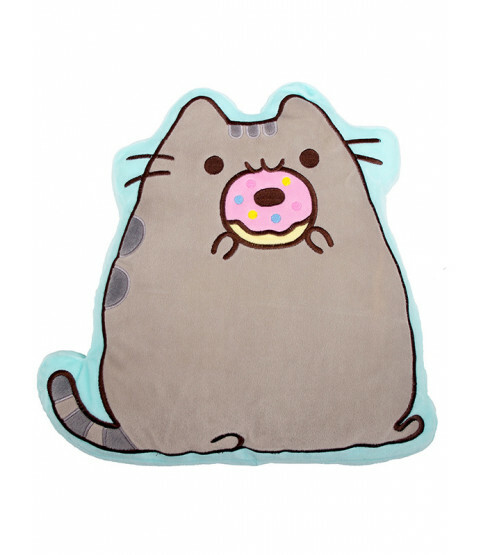 The plush cushion is shaped just like Pusheen and features the adorable cat eating a doughnut on a turquoise background, with wonderful embroidered detailing and a soft finish. 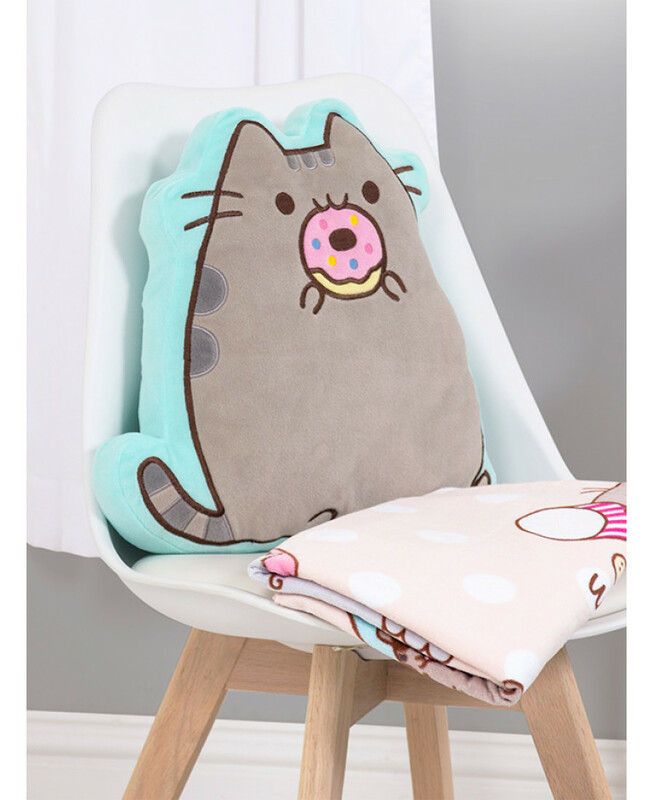 This cushion comes pre-filled and can be sponge cleaned.